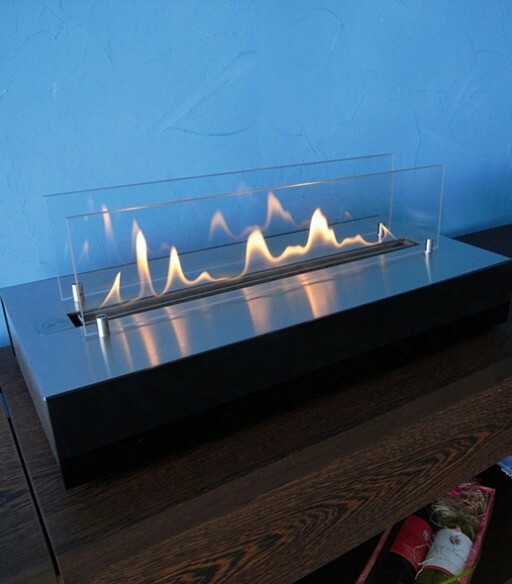 Square, simple, stylish – and ideal for smaller living spaces. 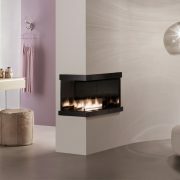 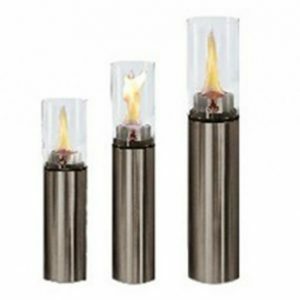 The Quadra Base is the most compact of the ebios-fire designer collection. 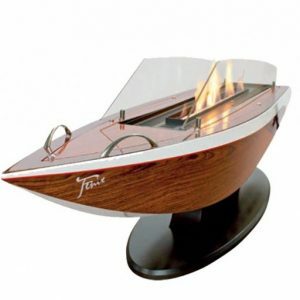 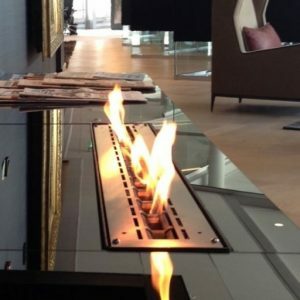 Being portable this table top designed fire can be moved from room to room. 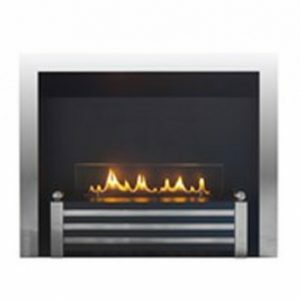 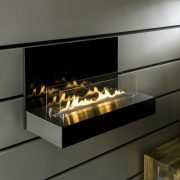 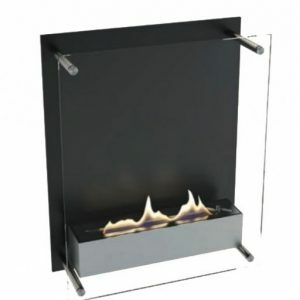 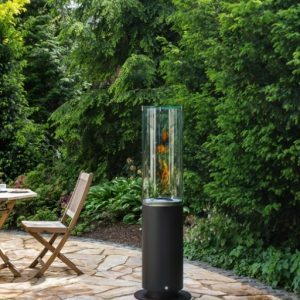 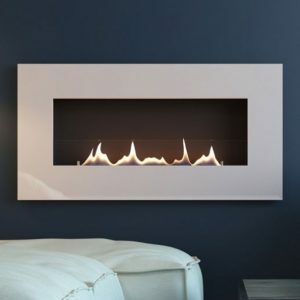 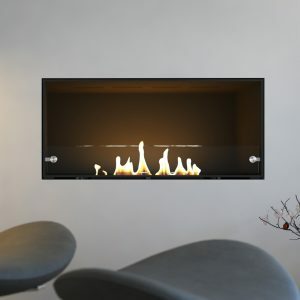 Due to its long stainless steel firebox, this fire allows a wide flame picture, which is flanked by two hardened glass panels.